What’s better than hot? White hot. Channel your inner Miami Vice and dress in your best white-colored ensemble during this exciting cruise. Enjoy dancing, a special 3-course dinner and cash bar – all with Clear Lake, Kemah and Galveston Bay as your backdrop. Each Boardwalk FantaSea White Party Cruise is a two and half hour event. Live DJ on board! 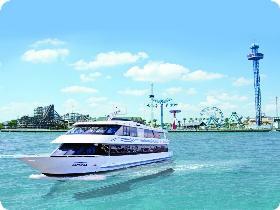 White Dinner Cruises are a fun alternative for birthday parties, anniversaries or any reason to celebrate. Great for groups of all sizes!